Martin Sorrell has unveiled S4 Capital's stock market prospectus and claimed the content production business will win clients by cutting out ad agencies. S4 Capital’s prospectus confirmed it acquired Dutch content firm MediaMonks for $348 million in July and is set to begin trading on the London stock market after a shareholder vote on September 27. The front cover of the prospectus (pictured, left) features an image of a Burning Man sculpture to signify regeneration and says the group’s ambition is: "To create a new era, new media solution, embracing data, content and technology, in an always-on environment for multi-national, regional, and local clients and for millennial-driven digital brands." S4 Capital will provide digital marketing services that "are agile, efficient, and of premium creative quality, in other words faster, better, and cheaper" and it will have one P&L, rather than having "multiple" profit centers. "A number of organizations that have traditionally been regarded as consultancy businesses with an emphasis on technological services in the digital marketing arena have begun to acquire creative operations and are therefore moving more directly to compete with combined operators such as MediaMonks," S4 Capital adds, citing "IBM, Accenture, Deloitte, and PwC" as competitors. 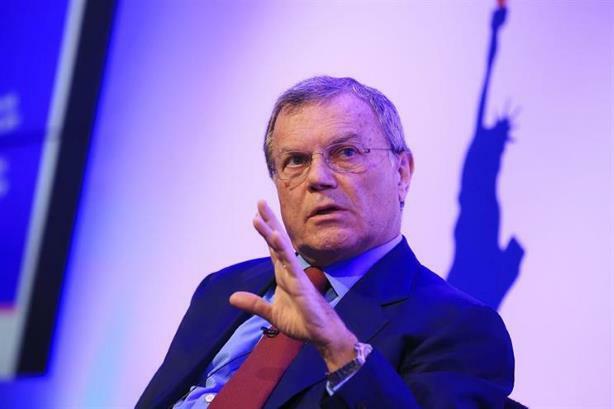 The comments are striking because when Sorrell was running WPP, the world’s biggest ad agency group, he played down the threats from brands bypassing agencies and management consultants entering marketing services. 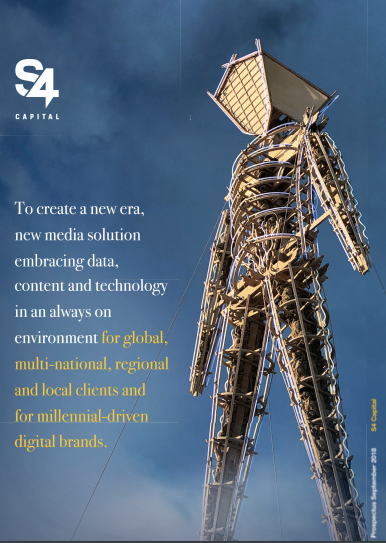 S4 Capital plans further acquisitions in content, data analytics, media planning, and digital media buying. MediaMonks doubled its revenues from $42 million in 2015 to $87.9 million in 2017 and profits before exceptional items (EBITDA) increased from $5.6 million to $9.6 million. Revenues jumped 50% to $62.7 million in the six months of 2018 compared to 2017 and EBITDA trebled to $12.9 million. MediaMonks’ management are in line for a €25 million bonus after four years if they can grow the business. The two most senior figures, Victor Knaap and Welsey ter Haar, each got $3.5 million on completion of the deal with S4 Capital and will get another $3.5 million each in a year’s time. Sorrell will earn a base salary of just $130,300 a year, plus potential $130,300 annual bonus, and have a 12-month clause in his contract restricting him from working for a competitor – in contrast to his time at WPP. Other top shareholders are financial institutions, including Tosca Fund Management with 13.3%, Canaccord Genuity Wealth Management with 9.5%, and Rathbones and Lansdowne Partners with 3.9% each. Sorrell left WPP after an investigation into allegations of personal misconduct, which he strenuously denied, and the U.K.’s stock market authorities "required" S4 Capital to give details about the circumstances of his exit. Sorrell was treated as "a good leaver" and he agreed a settlement that means "there is no further action that WPP can pursue against Sir Martin in relation to the allegation that he misused WPP funds," according to the prospectus. He has denied wrongdoing and has given S4 Capital a six-year legal indemnity, protecting the company from any potential legal action by WPP.